Countless nutritionists say rice is an empty source of calories that should be avoided, while others consider it to be a safe starch that can occasionally be eaten. Rice and quinoa are highly controversial in the nutrient food community, which is why we’re doing a quinoa vs rice comparison, to better understand their overall health benefits and which of the two should be included in your meals. There is an old Japanese saying – “we basically eat rice every day of our lives and live a long time“, so it is a bit contradictory and confusing whether or not rice is healthy based on what the experts say and if it should be eaten on a daily basis because of the traditional and cultural Japanese diet. Just because a food is stereotyped as a “health food” doesn’t necessarily make it so if anything, the more a food is touted as a miracle food, the more reasons to we have to doubt it. Nonetheless, are there better options for white or brown rice? That’s where quinoa comes in, but most people aren’t aware of the health benefits quinoa brings compared to other known grains. In the last few years quinoa has become commonplace in a lot of homes all over the world, and though Brown rice is healthier than white rice, quinoa should be the number one choice in your meals due to its higher nutritional content. Make your life simple and easy by checking out our Gluten-Free Program with meal plans, shopping lists, and much more. Some suggest that a quinoa vs rice comparison wouldn’t be fair as quinoa isn’t technically a grain, but a seed of the goosefoot plant. It is, however, prepared, cooked and eaten as a grain, with similar nutritional value. Quinoa is a nutrient rich seed with great health benefits, is naturally gluten-free when not cross-contaminated during processing. It’s high in dietary fiber, more than white or brown rice. It’s also very high in minerals and promotes gut health with its inflammatory abilities. Quinoa has a much higher and healthier number of carbs than rice, although they are both a high source of carbohydrate, quinoa known as the super-seed is three to four times greater in nutrients compared to rice. The amount of fat is higher in quinoa, but not the dangerous type of fat, quinoa has a higher amount of polyunsaturated and monounsaturated fat compared to other grains, and they both help in lowering cholesterol levels and reduce potential risks of heart disease, and other heart health complications. White: One of the most common types found in a store isn’t very crunchy and ends up cooking faster. Red: Unlike black or white, it sits in between the middle when it comes to crunchiness. Black: Needs 5 to 10 minutes longer to cook compared to white quinoa, it’s also the crunchiest. The following information and nutrition fact values and amounts are based on 1 cup (170g) of cooked quinoa. The most beneficial point of the protein content in quinoa is that it’s a complete protein source providing all nine essential amino acids and it’s one of the few plant-based protein sources that are a complete protein, in other words: it contains all nine essential amino acids. What makes an amino acids essential? As the body is unable to produce some of them, it is essential to acquired them from food sources, or supplementation. It’s extremely important to ensure that you’re getting all essential amino acids, in sufficient quantities, as many health issues from diabetes, high cholesterol levels, hair loss, to erectile dysfunction can be traced back to simple metabolic disturbances and that’s because amino acids are absolutely needed for every metabolic process. Histidine. Helps in transporting neurotransmitters to the brain, helps with muscle health inside each muscle cells, produces white and red blood cells which help to detoxify the body for better immunity. Leucine. Number one amino acid and BCAA (branch chain amino acid) that stimulates muscle growth and strength regulates blood sugar and helps to treat and prevent depression. Isoleucine. Another BCAA responsible for helping the body produce hemoglobin and energy, and assists with nitrogen growth inside the muscle cells. Lysine. Responsible for collagen production, output and growth of carnitine (nutrient responsible for lowering cholesterol by converting fatty acids into fuel), and helps in absorbing calcium. Methionine. Helps in forming cartilage in the entire body by utilizing the sulfur within Methionine, which no other amino acid contains. It aids in muscle growth and in building creatine. Phenylalanine. Has three forms, L-phenylalanine, D-phenylalanine, and DL phenylaniline. It turns into tyrosine when ingested, which is another essential amino acid that makes protein, and thyroid hormones. Insufficient levels of this amino acid result in depression, memory problems, brain fog and other related problems. Threonine. Helps in maintaining protein balance to aid in growth, energy, and repairs. Assists in fatty acid digestion in the liver so there’s no buildup which can cause liver failure. Tryptophan. A vital amino acid that helps with muscle repairs and growth, maintaining the neurotransmitters functioning. It is mostly found in dairy and converts to serotonin once it reaches the brain. Valine. Another BCAA responsible for maintaining muscle health, endurance, repair and growth. Quinoa is very high in lysine, histidine, and methionine which is an excellent source of plant-based protein. It’s so high that the protein is comparable to casein, which is a good quality protein that comes from dairy products. Compared to barley, rice and other grains quinoa are made up of 20 percent of carbohydrates, 80 percent of carbs are from starches, and the remaining is mostly from sugar(small amount), ribose, maltose, galactose, and fiber. Quinoa has low glycemic index with a score of 53, which in other words means that in most cases depending on the individual, it won’t cause rapid spikes in blood sugar. Good source of fiber, at 5.2g for every cup, beating other grains such as brown rice. 90% of the fiber is insoluble, which is known for reducing risks of diabetes. It also feeds the beneficial bacteria in the gut improving gut health and helps in preventing risks of diseases. Another great benefit of insoluble fiber is that it helps the movement of materials in the digestive system, which is ideal for those with irregular stools and constipation. In general, fiber has many benefits from normalizing bowel movements as mentioned above, lowering cholesterol levels, controlling sugar levels and especially helps in achieving your weight goals as fiber helps in making you feel fuller, in turn, you eat less. The fat composition of quinoa is mostly composed of linoleic, palmitic and oleic acid just like other cereal grains; these three are the major acids present. Linoleic. Known as omega-6 fatty acid and it’s essential for healthy growth and development in the body, it’s also used to make a substance called eicosanoid that helps to regulate inflammation in the human body. Palmitic. Most common saturated fatty acid easily found in plants and animals, and it’s it’s used mostly in skin care products. Oleic. Known as Omega-9, a monounsaturated fatty acid that helps improve blood circulation, insulin sensitivity, and it’s beneficial in controlling the disease for people with prediabetes and diabetes. Quinoa has a higher amount of vitamins and minerals compared to other grains, especially rice, providing higher levels of fiber, zinc, calcium and magnesium. Potassium. An essential macro-mineral responsible for decreasing risks of stroke, lowering blood pressure, reducing kidney stones formation and preserves muscle mass. Phosphorus. Promotes bone and protein formation, cellular repair, balances hormones, and proper utilization of nutrients in the body. Magnesium. Another essential macro-mineral helps to build bones, a proper functionality of the nerves and energy production from food sources. Calcium. Important for bone health throughout your lifetime as it contributes to build and maintain healthy bones. Muscles, nerves, and heart also require calcium to function. Sodium. Helps in balancing body fluids, aids in muscle contractions helps to send impulses from the nerves. Iron. Contributes to metabolize proteins, aids in red blood cells and hemoglobin production eradicates fatigue and strengthens the immune system. Zinc. Helps to increase immunity, may help to fight cancer since it acts as a powerful antioxidant, fights diabetes, balances the hormones, interesting enough it increases fertility, and it also aids in the absorption of nutrients. Manganese. Creates essential enzymes that help to build bones, aids the thyroid gland to function properly, regulates blood sugar levels and various other benefits just like the ones above. There are countless other health benefits for each of those vitamins and minerals, each playing an important and individual role to maintain our overall health. Rice is the most popular grain in the world; its cultivation began a little over 14,000 years ago, it too has many minerals and vitamins that are extremely healthy for our body. It’s also gluten-free just like quinoa, naturally low in sodium, a high source of carbohydrates and in the United States alone, almost 2.5 million metric tons of rice is consumed every year. Long grain. Normally ranges between 6-9 millimeters, the longest of the three. Medium grain. Measures about 2 millimeters. Small grain. Higher amount of fat and much higher in starch compared to the other two types. Regular-Milled White Rice. For longer storage, this form has its germ, bran and husk removed, and it’s the most known, and consumed form of rice, worldwide. Parboiled Rice. Undergoes a process where the outer and inner starches are forced together which creates a separated kernel where it’s less sticky. Brown Rice. Most nutritious of the three with a mild and nutty flavor, only the husk is removed which leaves the germ layers and the bran. The information including all nutrition fact values provided below are based on 1 cup of cooked rice. Rice is composed primarily of carbs, mainly in the form of starch that’s made up of two glucose chains named amylopectin and amylose which contributes to the texture of rice. Being high in carbs, it’s also fast to digest, which can cause unhealthy spikes in blood sugar, especially in people with diabetes and other conditions, that goes for all grains high in carbohydrates with a high glycemic index. 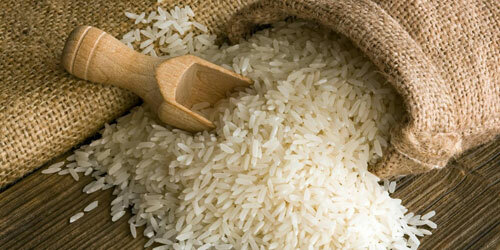 White rice contains 2.4 grams of fiber, while brown rice contains 6.5 grams, unenriched. All in all, white rice contains small amounts of fiber compared to quinoa, while brown rice has a higher source, neither compares to quinoa in nutritional values. Rice has a much lower fat content, especially the healthy fats that the human body requires. It’s recommended to eat a certain amount of fat on a daily basis, that depends on the individual and their daily food requirements, rice is not a good source of healthy fats. Unlike quinoa, rice itself is what we call an incomplete protein, which means that it doesn’t contain all nine essential amino acids or it doesn’t have a sufficient quantity to meet the needs of our body. For those looking to eat rice as a protein source should consider incorporating quinoa in their diet instead, as it’s a complete protein. If you want to eat quinoa based purely on the protein content, it should be combined with other food types to provide a balance of the essential amino acids. The vitamins and minerals value of rice very on the cooking method and which type of rice that’s available to you as most nutrients are concentrated in the germ and bran of rice which are only found in the brown type and not the white because of the process it goes through explained above. Rice is a poor source of minerals and vitamins all around, choose brown rice if you’re looking for a healthier grain, even though the taste and texture are different, and compared to quinoa, it’s still below average. As you can see, the amounts are very low, increasing the amount of rice to eat will do you worse as the level of carbohydrates are very high, depending on your food intake and macros at the end of the day you might end up gaining weight. Chemical compounds are known as phytochemicals, phytonutrients, and other names. They’re found and produced in fruits, beans, grains and various other plants, and each comes in different varieties with different benefits. The primary use of these chemicals is to help protect the plants from threads such as predators such as bugs, fungi, pathogens and others. They are non-essential nutrients, which means the human body does not need it for keeping the body healthy and alive. There are thousands of phytochemicals; not many have been deeply researched. Recent studies show the effects of phytochemicals on vegetables and plants might have a higher and positive impact on our health; further studies required though. Not all of these phytochemicals are healthy; some can cause a direct imbalance with our diet and cause major health issues if consumed at a higher level. Below we’ll take a look at some of the phytochemicals that both quinoa and rice contain, with little information about each. Studies have shown various health benefits of phenolic acids; it helps to treat and prevent various diseases like cancer, diabetes, and others. It acts as an antioxidant, anti-inflammatory, antihistamines, antivirals as mentioned earlier, boosts mental health, metabolism and various other benefits. An antioxidant that neutralizes free radicals such as nitric oxide, hydroxil radical and superoxide which can cause oxidative damage to the DNA or even the cell membranes. It also protects us by preventing ultraviolet damage to our cells and it’s normally used in anti-aging products. It also protects against cancer and reduces the risk of heart disease as it reduces cholesterol levels. Antioxidants that contain both insoluble and soluble fiber supports the immune system and helps to balance the body’s hormone levels. It contributes in balancing estrogen levels in woman and men, balances the testosterone-DHT relationship, and helps to convert testosterone to DHT with certain enzymes which help to improve prostate health. Many forms of seeds store phosphorus as phytic acid, it’s basically a storage form that’s considered to be an anti-nutrient as it binds the minerals in the digestive tract making it difficult to be absorbed by our body. Although, the same anti-nutrient properties in it can prevent chronic diseases and others. For example, foods high in phytic acid can enhance natural killer cells activity, stop the growth of tumors, lower chance to succumb to prostate and breast cancer, helps prevent hardening of the arteries, improve kidney health and prevent kidney stones and various other benefits. A volatile aromatic compound that’s responsible for the smell and taste. Laboratory research, both in humans and animals show that anthocyanins may have a significant role in reducing and preventing risks of cancer, cardiovascular disease, and cognitive decline, but these studies suggest that these health benefits comes from an unidentified source far beyond their antioxidant capacity. A powerful antioxidant that’s known to be 20 times stronger than Vitamin C and 50 times higher than Vitamin E and helps to promote cell health, flexibility, protects from UV ray damage, strengthen the capillaries and various other benefits. Aside from being stronger than Vitamin C and D, it enhances the vitamins activity which helps in supporting the capillary system health. Commonly known as a generic Vitamin E as the substances in vitamin e are made up of tocopherol. The human body needs vitamin E to prevent health problems, that’s one of the reasons why it’s sold in stores as supplements as it contributes to a health diet in case vitamin E isn’t being ingested from food sources. Tocopherol has antioxidant properties that help to fight chronic disease. It’s important to remember that an elevated amount of vitamin E or tocopherol can cause various illnesses such as stroke or heart attack. Like tocopherol, a form of vitamin E, tocotrienol is also another form. Known to reduce the formation of tumors, and helps to prevent damage to the cells, and DNA. And has the same benefits as tocopherol. Known as gamma-oryzanol, gammariza, calclate and thiaminogen. Mostly known to treat menopause symptoms since the early 1960’s. It also helps in treating other medical conditions such as nausea, anxiety, depression, heartburn rashes and muscle pains. Studies have shown Saponins have various health benefits, from cholesterol reduction, lowers cancer risks, boosts the immune system, reduces bone loss, and it has antioxidant activities which reduce risks of heart diseases. Squalene is natural to our body. It’s used to keep the skin and other bodily tissues moist, lubricated. Aside from external use, it helps to boost the immune system, prevent diseases; it’s good for the digestive system, bones, heart and helps protect the body from external toxins. An important antioxidant that helps in preventing oxidative damage to our cells, DNA, and lips. It also acts as a chemopreventive agent which prevents the formation of cancer cells in our bodies. One of the most important antioxidants, it helps to fight free radical damage, and it stops the effect of aging and inflammation. It’s mostly known to be used and purchased as an anti-inflammatory supplement. Another antioxidant that’s known to be associated with skin care benefits aside from enhancing heart health lowers high blood pressure and cholesterol; it also helps with osteoporosis and diabetes. It’s typically used to treat damage caused by the sun and reverse the signs of wrinkles and fine lines. Firstly, we’ll go ahead and compare the glycemic index and glycemic load of both. If you don’t know what they are, to be abrupt, the glycemic index is a measurement of how fast a food causes a spike in a person’s blood glucose while the glycemic load is the total amount of carbohydrate that a food has contributed to the diet. 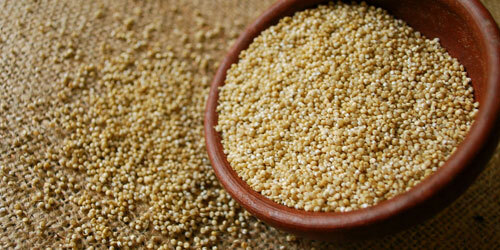 Quinoa has a glycemic index of 53 and a glycemic load of 13. Rice has a glycemic index of 73 and a glycemic load of 30. Unlike rice, quinoa is not part of the grass family; it is a pseudo-cereals which are non-grasses and are used exactly like true cereals. Quinoa wins hands down due to its low glycemic index and glycemic load, higher nutritional level, gluten-free health benefits and it contains all essential amino acids. All in all, those who are on a high nutrient diet and are physically active should do great with quinoa consumption. Of all the grains, quinoa is definitely one of the safest, and best options to have in your cooking and dieting arsenal. As far as quinoa vs rice goes, the winner is clearly the delicious and exotic quinoa due to its beneficial health contents.